In today’s complicated culture, we appreciate simple things. We love websites like Google, books like Simple Church, and menus like the one at Chick-Fil-A. It’s easy for us to make simple concepts difficult, complex, and wordy. Do your people understand the gospel in its simplest form? Can they boil it down to its essential elements? 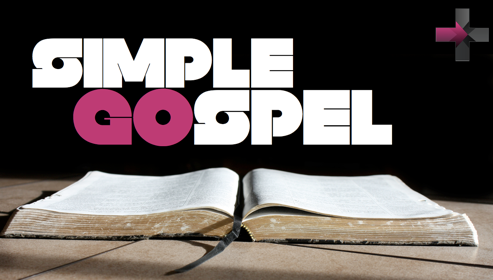 Challenge them to complete a simple exercise: In your small groups, at the beginning of a sermon, or even through email, ask them to write down their simplest definition of “the gospel.” Then, by whatever method you choose, simply teach them the gospel’s essential elements. Lastly, have them write down their newly learned understanding of the gospel in their own words. Chances are, what your people thought the gospel included or excluded will shock you. They will marvel at the differences between their learned definitions of the gospel and its simplicity. In fact, I challenge you right now to the same exercise. After you finish this article, see if your simple explanation of the gospel has changed. You may surprise yourself! You can remember the simple form of the gospel as the “Power of Jesus” (Rom 1:1-4). God’s sovereign work saves us, sanctifies us, and glorifies us through Christ’s power (Rom 8:29-30). Highlight the P, W, and R from “power”, and we have the gospel in its simplest form: The Person of Jesus, the Work of Jesus, and man’s Response to Jesus. Since stumbling onto this easy memory tool, I have used it sharing, teaching, and deepening my own understanding of the gospel. There are too many debates today on who Jesus was. Was He really God? Was He really man? Was He really God’s Son? We should never refer to Jesus as a “was”, but always as an “is”! Teaching others simply about the person of Jesus will help them remain biblically faithful in all questions about Him. Jesus has always existed and will always exist as fully God (John 1:1-3, 1 John 1:1-3, Rev 21:5-6). We also know that He came to earth and was born as fully man (Phil 2:5-8, Heb 2:14-17). Knowing Jesus as both God and man must be understood as a union of two natures eternally combined. Jesus is eternally the God-man, which qualifies Him to be save us and mediate between us and God forever (1 Tim 2:3-5). What did Jesus accomplish? There are aspects of the work of Jesus your people likely won’t include in their gospel understanding. True salvation is not just trusting Jesus, but also includes the necessity of believing the work He finished on our behalf. Jesus’ work includes His life, death, burial, and resurrection. Jesus did not just die and rise, but He first lived a completely obedient life unto His Father (Matt 5:17-18). But He was not only perfectly obedient, but also sinless (John 4:34). He never did anything wrong, and everything He did do was lawfully righteous. One must believe in Jesus’ sacrificial death for sin for a simple gospel understanding (1 Cor 15:3). Jesus’ burial didn’t just say that He was “really dead”, but proclaimed He was fully under the curse of sin and wrath of God (1 Cor 15:4). Many people leave out the resurrection in their gospel understanding. If Jesus never rose from the dead, we could not be saved. Likewise, if there is no faith in His resurrection, it is not true saving faith (Rom 10:9, 1 Cor 15:4). The simplest understanding of the gospel must include these four themes of Jesus’ work. An understanding of our response as a direct result of Jesus’ person and work makes the gospel so much simpler to understand and remember. Yet, we often omit how we respond to Jesus according to these two truths. Here are two ways we can communicate how we respond to Jesus according to His being both man and God. When we understand Jesus’ death as a perfect man’s atonement for our sin, we can respond to God’s call to repent of our sin (Acts 2:38, Rom 2:4, 2 Cor 5:15). Repentance is not just turning from sin – that is mere moralism. Repentance also includes turning toward Jesus. When we understand Jesus’ resurrection as the Son of God, we can faithfully follow Him as Lord (Acts 16:31, Rom 10:9).